This was Gene's idea. 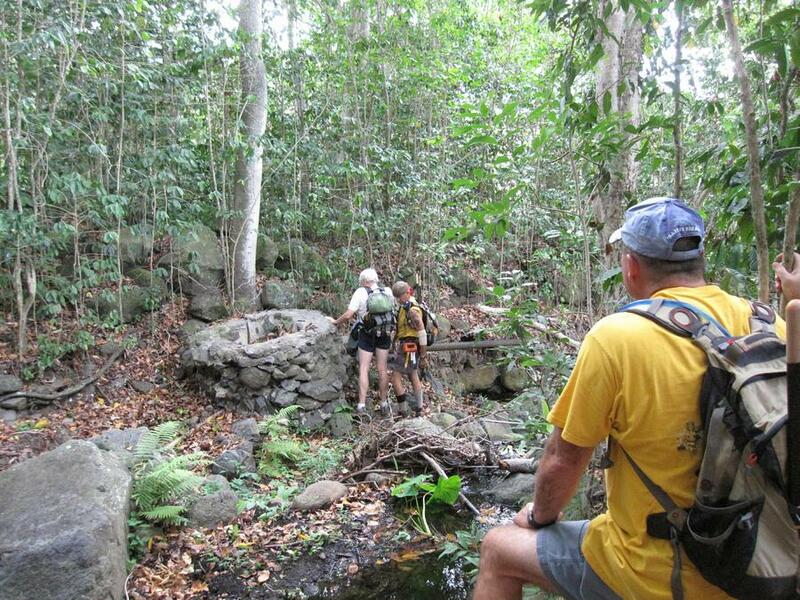 Lets follow Kalalula stream from the place where it crosses the road to as far as we feel like going today. It proved to be quite an adventure. Early on we followed a stream w/running water and later after the fork Kalalula goes dry which made walking in the stream bed much easier as there was no trail on it's banks. 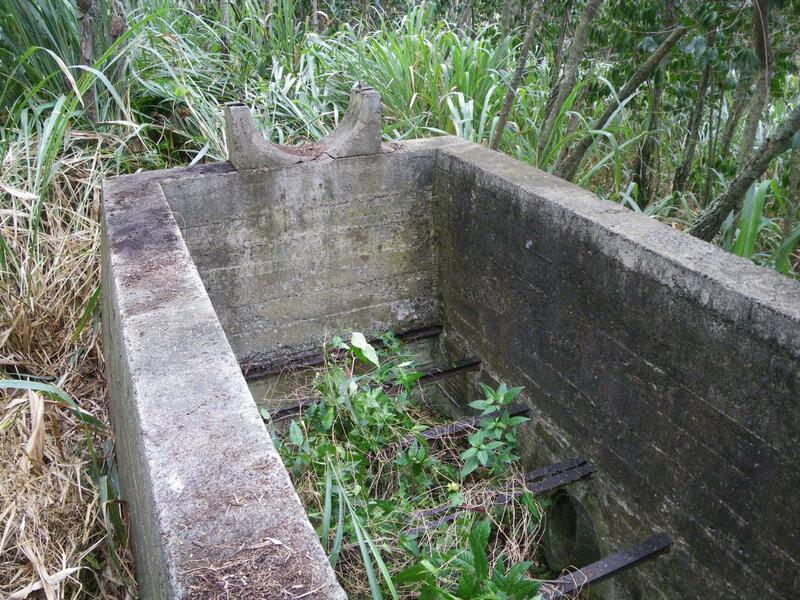 For an explanation of the Wai`anae Stream drainage system check out this link. Early into the hike we come to Kalalula Dam #1. It is to the left to the "thing" Dan and I are looking at. You can see the dam in the video that follows. 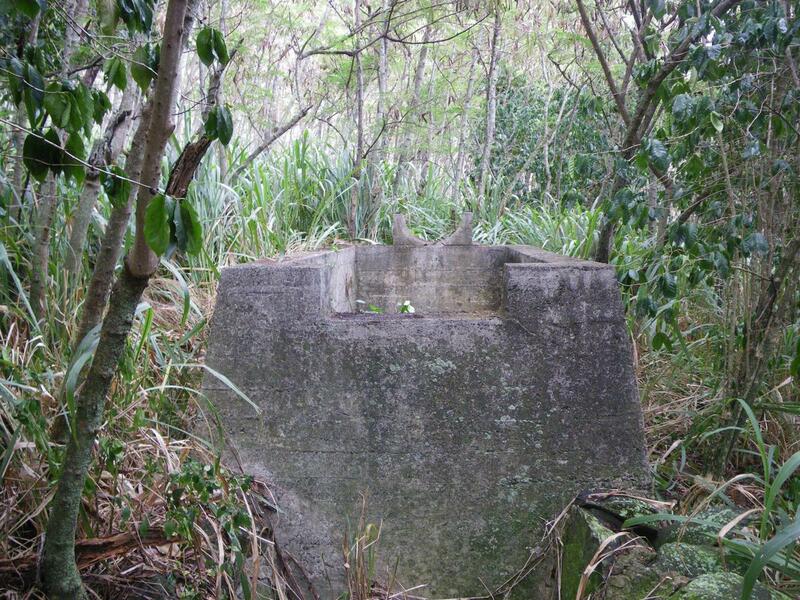 Gene and I took off into the bush on the right bank and found this cement structure. Again more can be seen in the video.